ALL SPECIMENS EXHIBITED MUST BE GROWN BY THE EXHIBITOR AND ENTERED IN THE NAME OF THE GROWER ONLY. Floral exhibits will be accepted at the Ruritan Building between 9:00 A.M. and 12:00 noon on Tuesday, but exhibitors must be in line no later than 11:45 A.M. Floral exhibits will be accepted at the Ruritan Building between 5:00 P.M. and 8:00 P.M. on Tuesday, but exhibitors must be in line no later than 7:45 P.M. Judging will take place Wednesday, at 10:00 A.M. The building will reopen at 2 P.M.
All plant material, with the exception of dried and treated material, must be homegrown, unless otherwise specified. Plant material from a professional florist is not homegrown. Potted house plants should be in the exhibitor’s possession for at least 3 months before the show. Outdoor container plants are not potted house plants. Exhibitors are responsible for knowing the categories of the materials they wish to enter. The volunteers at the registration desk are not responsible for selecting the appropriate categories for the exhibitors. If an exhibit is entered in the wrong category, staff and judges are authorized to move it into the right one. For the miscellaneous herb category, the participant must label the name of the herb. Any blooms must be at least 2/3 open. Exhibitors may place only one entry in each class, except Miscellaneous, where up to two entries will be accepted. If a class is listed, extra specimens of the same class cannot be entered in the Miscellaneous category. Specimens will be placed in uniform containers provided by the Ruritan Club. Best of Show ribbon may be awarded. Exhibits must be picked up on Sunday between 2 P.M. and 5 P.M. 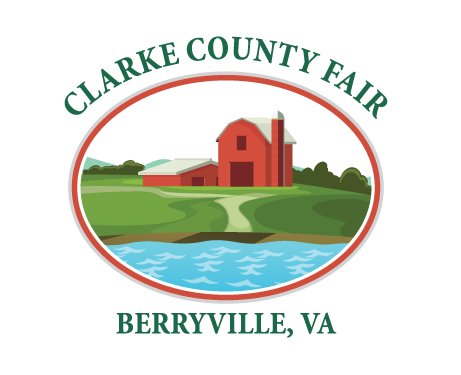 The Clarke County Fair cannot be responsible for exhibits or ribbons left after 5 P.M. 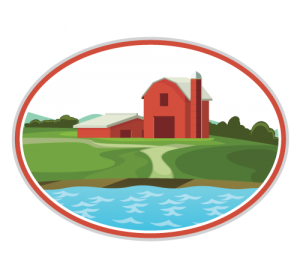 The Clarke County Fair cannot be responsible for broken or lost articles. NOTE: In order to ensure that arrangements, herbs and specimens are at their peak and to assure fairness when judging, all plant materials should be conditioned. This means cutting the plant materials and hydrating them in sugar water or water with floral conditioner for 24 hours before making arrangements or entering herbs and specimens. This conditioning process will increase integrity and longevity of the arrangements, herbs and specimens. The judge will disqualify any entries which contain parts that are diseased, damaged or wilted. Exhibitors may place only one entry in each class, except Miscellaneous, where up to two entries will be accepted. If a class is listed, extra specimens of the same class cannot be entered in the Miscellaneous category. Flowers count more than foliage but some foliage, if in excellent condition, should be included, when possible. One specimen is one stem, not a bunch, unless a class calls for a “spray.” Any bloom must be at least 2/3 open. For the miscellaneous herb category, the participant must label the name of the herb. Younger children may enter categories designated for older children, but older children may not enter categories designated for younger children. Herbs in flower or that have set seed are past their prime and are discouraged. One specimen is one stem. *Herbs in flower or that have set seed are past their prime and are discouraged. One specimen is one stem. Exhibitors may place only one entry in each class, except Miscellaneous, where up to two entries will be accepted. If a class is listed, extra specimens of the same class cannot be entered in the Miscellaneous category. Flowers count more than foliage but some foliage, if in excellent condition, should be included, when possible. One specimen is one stem, not a bunch, unless a class calls for a “spray.”Any bloom must be at least 2/3 open. For the miscellaneous herb category, the participant must label the name of the herb. Exhibitors may place only one entry in each class. One exhibit is one house plant; only one house plant in one pot. Open to all ages. *Exhibitors may place only one entry in each class. One exhibit is one house plant; only one house plant in one pot. Open to all ages. May be entered in designer’s name only. Exhibitor may place only one entry in each class. Junior competitors may enter the Adult Design Division. *May be entered in designer's name only. Exhibitor may place only one entry in each class. Junior competitors may enter the Adult Design Division. Herbs in flowers (except lavender) or that have set seed are past their prime. A sprig is preferred to a woody stem. Herbs in flower (except lavender) or that have set seed are past their prime. A sprig is preferred to a woody stem.